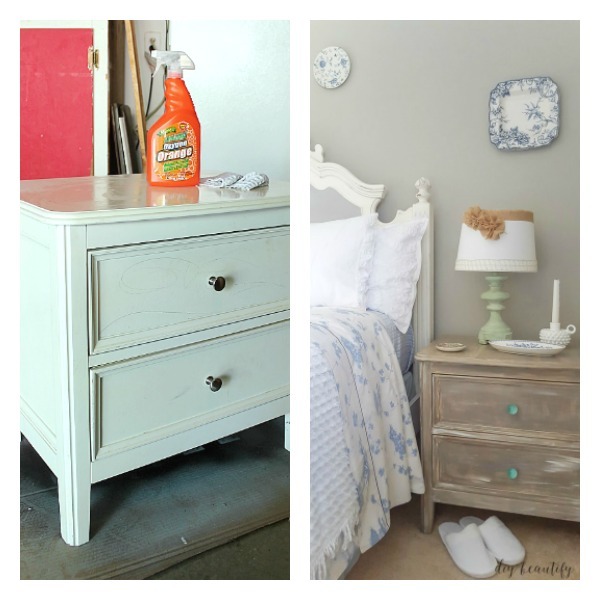 12 before and after furniture makeovers using chalky paint! Hey there sweet friends! Welcome to summer! We are full-on heat and humidity here in Texas, but a few days at the beach early this week sure helped! If you follow me on Instagram, you have been seeing some sneak peeks of my recently renovated farmhouse office space! 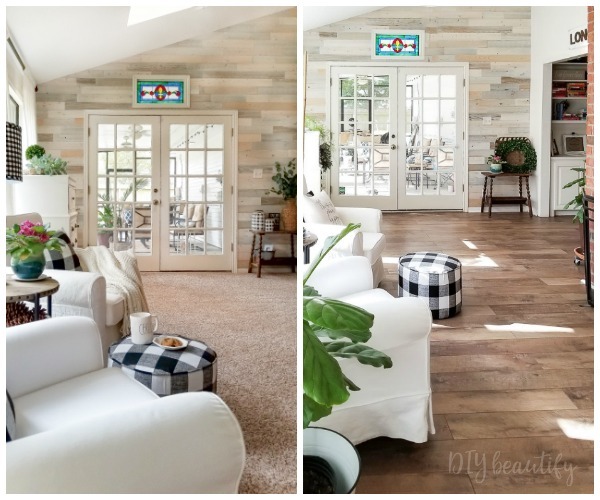 I shared the new floors and shiplap wall last week, you can catch up here if you missed it. I can already tell it's going to be my favorite space in the whole house! I'll be sharing the full reveal soon, I promise! 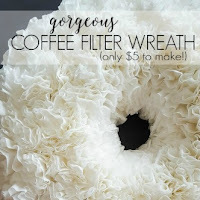 Today is Thrifty Style Team, when a bunch of DIY friends share thrifty ideas and decor to inspire you and show you how easy it is to create great decor without spending a fortune! I'm always inspired each month by what my friends come up with! You'll find all the links at the end of this post. 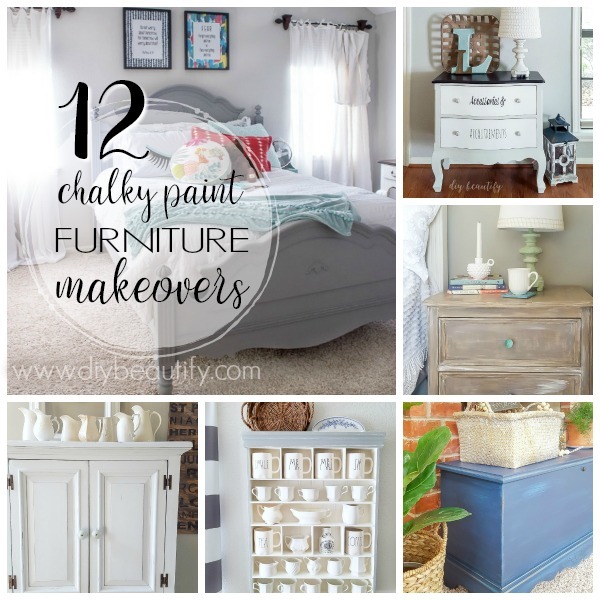 I thought it would be fun to share some chalky paint furniture before and afters for you today! 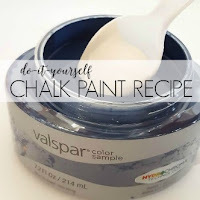 If you haven't already jumped on the chalk-paint-wagon, you're gonna wanna do it soon! 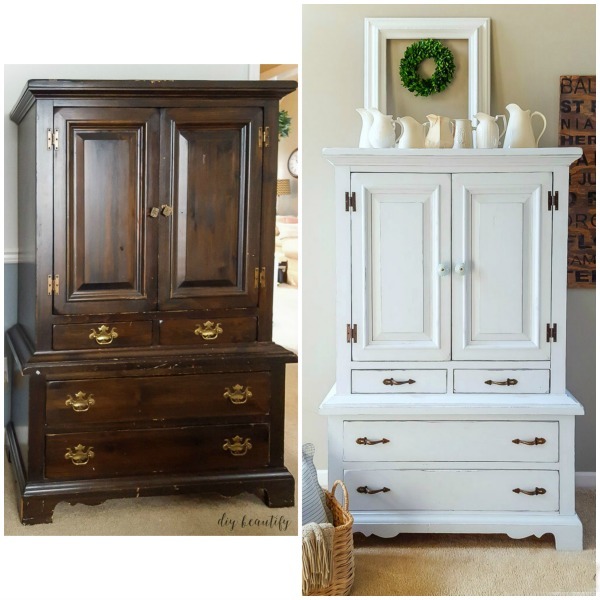 I never fail to be amazed at how an ugly, old, dated, junky piece of furniture can be transformed! 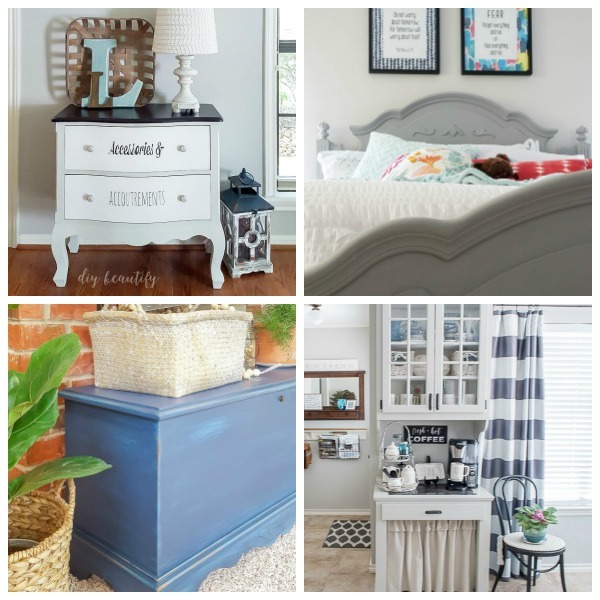 Many of the items you'll see below were found at thrift stores, some were even curbside finds! First is this cute little dresser I found at Marshalls years ago. Sun had damaged the finish and given the pale green a blotchy cast. 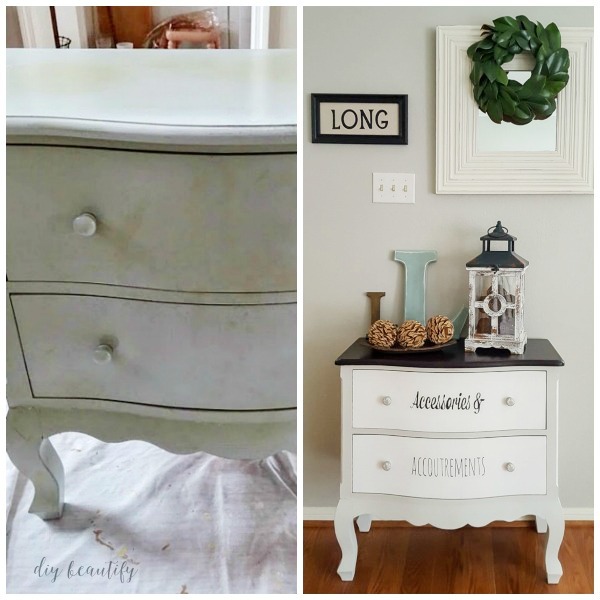 I painted the dresser and stenciled the drawers and it's such a fun piece with modern farmhouse character! This nightstand was part of my in-laws first bedroom suite...back in the early 60's! I gave this guy a bold makeover and fresh paint job. Love it now! 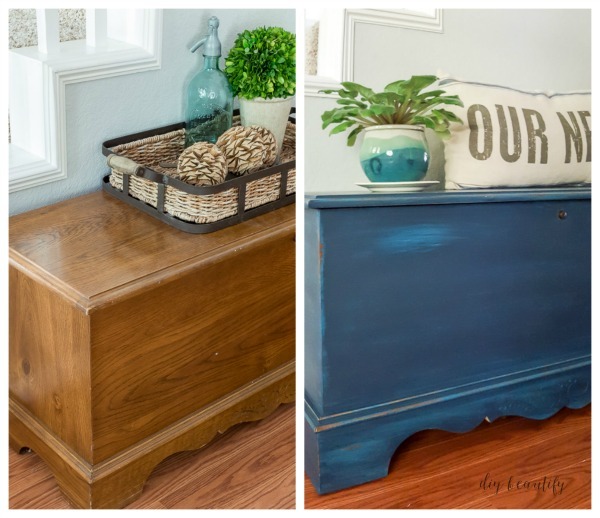 Our oak trunk just looked dated...but this fun color keeps it trendy, and turning the trunk into a color-coded filing cabinet keeps it functional! 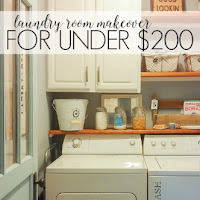 A little vintage storage tower that I found at a thrift store years ago, gets an update with chalk paint and becomes a functional storage unit in our budget-friendly farmhouse modern laundry room! 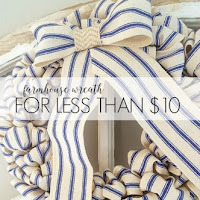 The numbered baskets (hand-stenciled) are my favorite touch! 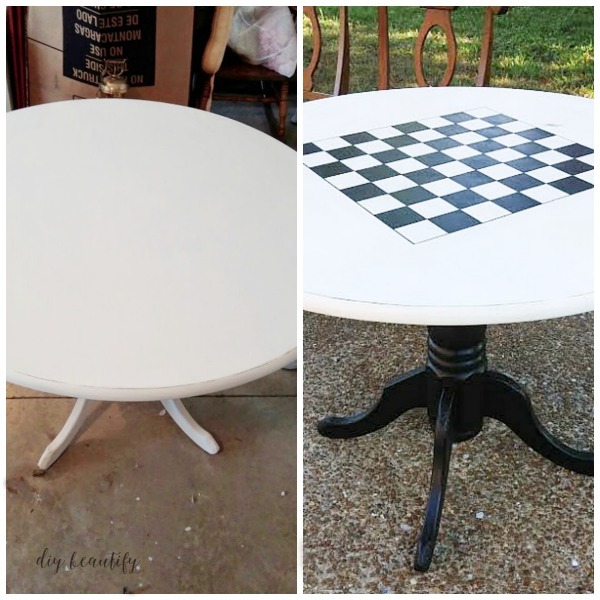 When we lived in Tennessee, I turned a plain old round kitchen table into a fun game table with a painted checkerboard top! 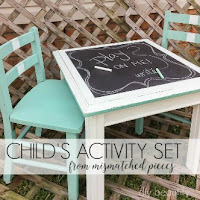 A couple of mismatched pieces of furniture from the thrift store came together to create a matching kids activity table set with a chalkboard top! 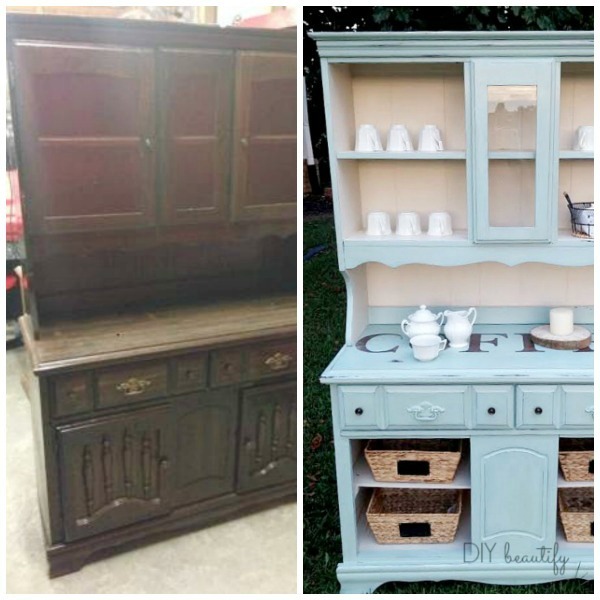 One of my favorite furniture transformations to date, this gross and dated $40 hutch was brightened up to create a darling coffee bar with cottage charm! I recycled a craft cabinet that I was no longer using into a pretty display unit for my thrifted ironstone collection! This cabinet recently got updated again...I gave it more of a farmhouse look for my Rae Dunn mugs. 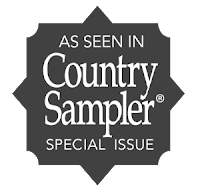 See the new look here. Our new Texas kitchen had white cabinets on one side of the room and this oak 2-piece unit on the other wall. It didn't match anything! 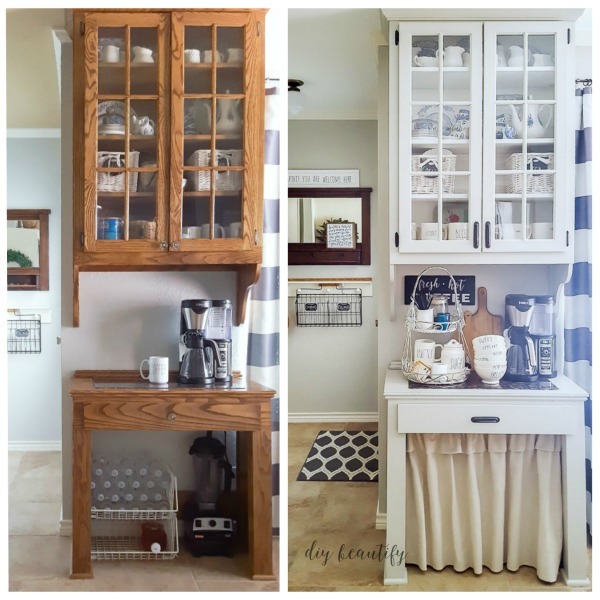 I painted it the same color as the walls (a DIY chalk paint mix) and now it's a cute farmhouse cabinet, a great place for a coffee station, and fits in perfectly with the rest of our kitchen! Another hand-me-down from the in-laws, this old armoire had definitely seen better days! 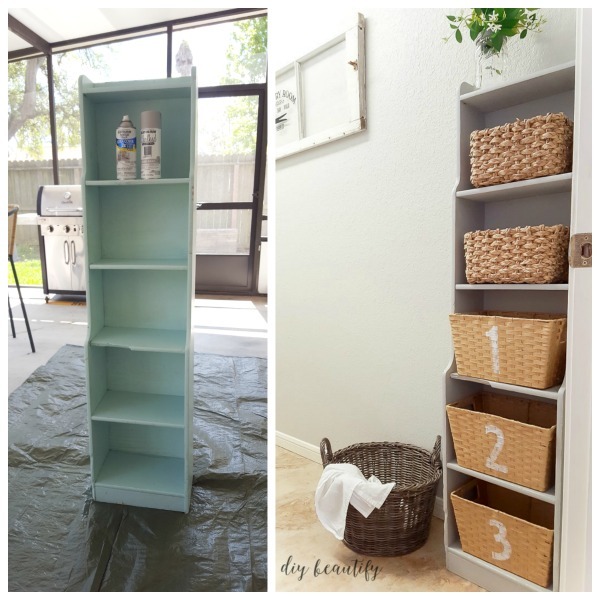 I mixed 2 different chalk paint brands together to create my own custom robin's egg blue color, and now this cabinet can hold its own in any room and is oozing with personality! 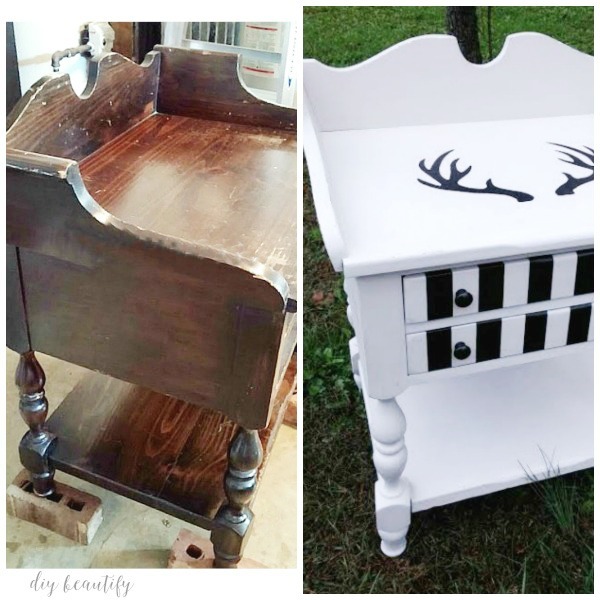 A curbside freebie, I gave this dirty nightstand a good cleaning, followed by a DIY driftwood paint treatment using leftover paint! 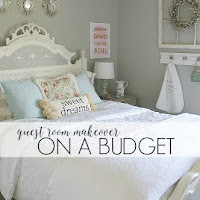 It looked so cute in our blue and white guest room. This bed, purchased shortly after we married in 1992, was ready for an update. 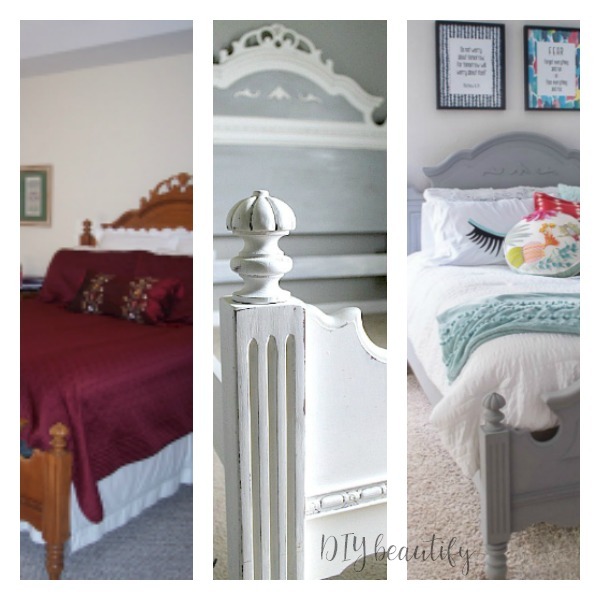 White and gray added French country charm for our guest room. A couple years later, a few changes to "modernize" it and it got another update to be used in our teenage daughter's bedroom. Go ahead and PIN and SHARE this image, so you have it for future reference! 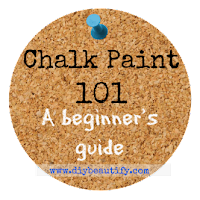 If you're a chalk paint newbie, these posts should help you understand it better and get to painting your pieces faster! 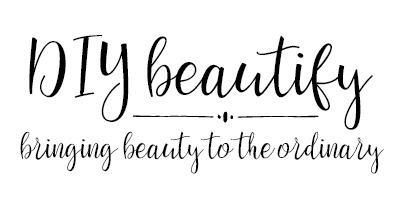 Once you get your hands on something you make it simply beautiful! 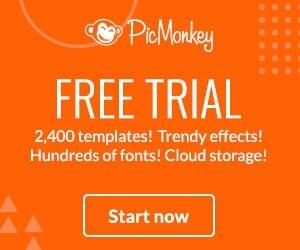 So many great ideas and inspiration here. 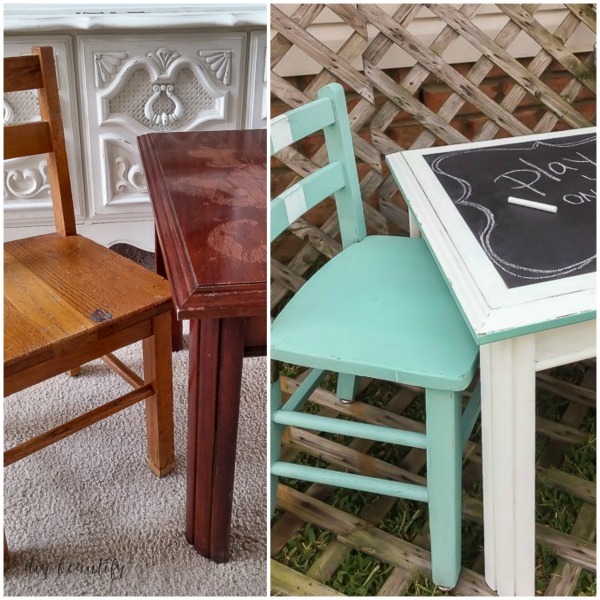 All of your chalk paint makeovers are so cute, Cindy! But, I especially love the coffee station...it's my fave! Thank you Kristi, that's one of my faves too! You have some amazing redos! 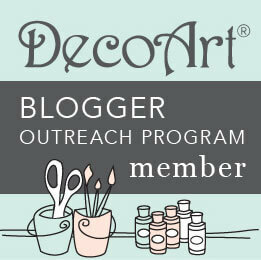 I think we both have a penchant for mixing our own paint colors! Thanks Jane! 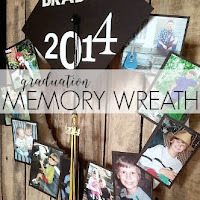 Mixing colors is a great way to save money...and come up with something that's just your own! 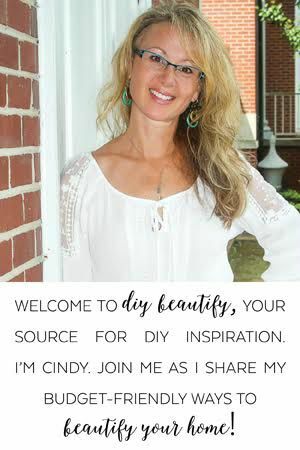 Cindy, All of your work is just fabulous! I like how you mixed paint colors to get what you like. I seriously can't pick a favorite project. Each is just as perfect as the next. Aww, you are so sweet Meegan,thank you! 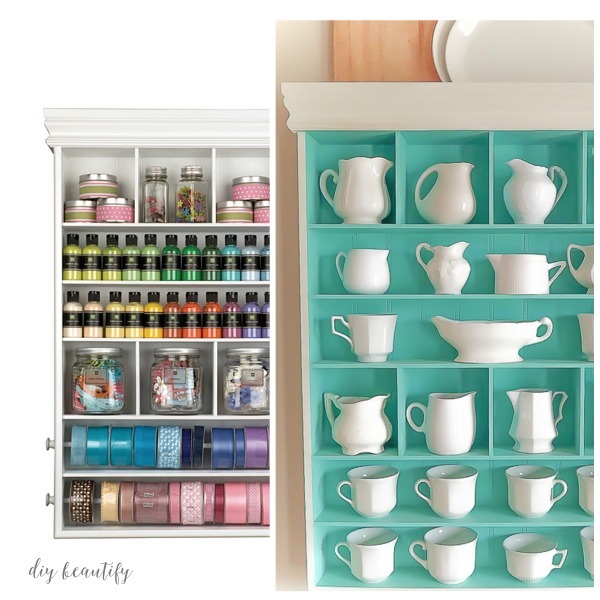 Well it’s hard, but I gotta pick a fav...... the ribbon holder to cup keeper. Thank you so much Bliss!